At McKenna, we provide various competitive advantages over our competitors. These elements are what have helped to make us the number one logistics services provider in Canada since 1950. Accuracy and timeliness that supports the supplier’s investment in their relationship with major retailers. Contributes to the accuracy and timeliness noted under quality. 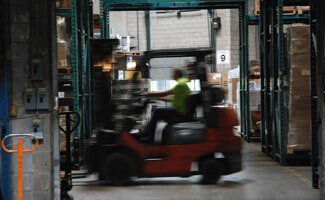 Allows customers to have visibility on their inventory and shipments at any time. Educate and incentivize employees to contribute to continuous improvement throughout the organization. Create accountability, cost savings, and process improvements. Contact McKenna to learn more about how you can leverage our competitive edge for your business.